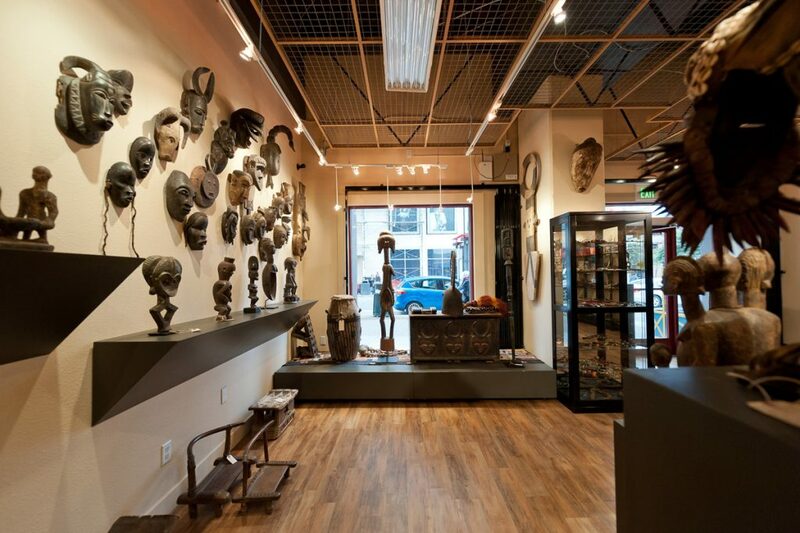 Solange Mallett owns African Plural Art at 1305 Fillmore. 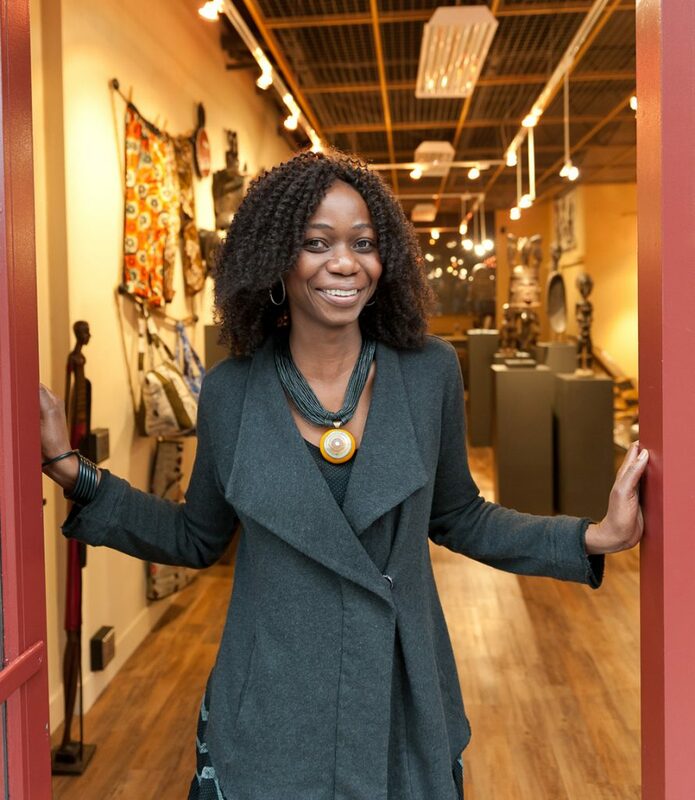 Solange Mallett, the owner of African Plural Art, is passionate — about African art; her newly opened gallery at 1305 Fillmore; the neighborhood; the visitors who come to look, learn and sometimes purchase; and the tribes supported by the purchases. Mallett was born in the Ivory Coast and grew up in Paris. Her husband’s work for the World Bank necessitated frequent moves: to Madagascar, Chad, Tanzania. In Paris, where they lived before moving to the Bay Area, Mallett ran an online African art business. “That business taught me that I wanted a shop where people could come in and I could share what I’m learning with them,” she says. Mallett explored several San Francisco neighborhoods before choosing her space in the Fillmore Center near Eddy. Remodeling the new space took 15 months. But by opening day in early April, the long narrow space had been transformed into an a brightly lit gallery displaying art and gift items from several sub-Saharan African nations — the meaning behind the Plural in the gallery’s title. Approaching a display of colorful necklaces and other jewelry, Mallett pulls a table linen from a shelf of woven baskets, bags, linens, clothing and bracelets to display the fine work. “My goal is to help the women in Ivory Coast villages and other villages live better lives,” she says. Photos on Mallett’s computer cycle to show men weaving on hand-carved wooden looms; the small wooden house that serves as a factory; hundreds of tablecloths and clothes hanging on wood railings. African Plural Art is at 1305 Fillmore Street. The gallery is open from 11 a.m. to 6 p.m. on Tuesday and Wednesday and from noon to 7 p.m. Thursday through Saturday. Contact the gallery at 415-539-5873.